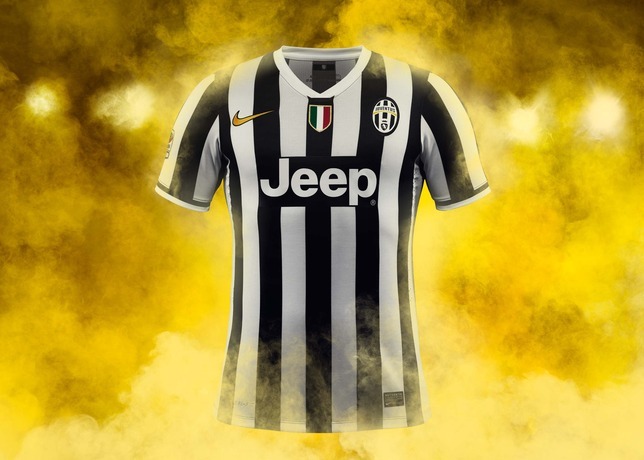 The Nike 2013/14 home kit features the club’s famous black and white stripes but this time in a thinner style reminiscent of the kits from the their dominant 1980s sides. The shirt has a lowered white V-neck collar — also inspired by the 1980s kits — a black stripe print on the cuffs, and two side vents on the hem with a flash of black. 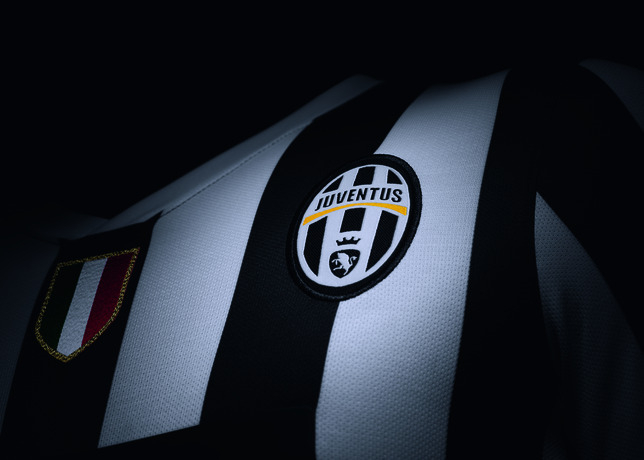 The bold, bonded black tape at the bottom of the V-neck is a nod to Turin, home to Juventus and the industrial capital of Italy. Inside the neck is a woven label featuring a shield with the club’s founding year of 1897. 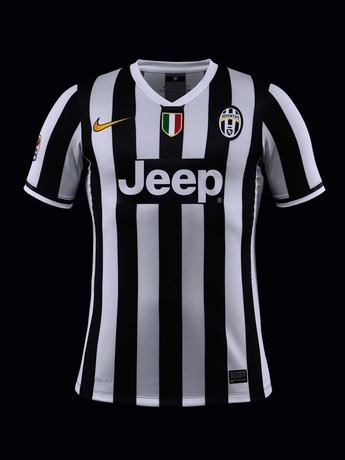 On the back of the shirt is the familiar black panel unique to Juventus to hold the players’ names and numbers. The home shorts are black with a printed stripe along each side, while the socks are white with a black block on the back to give players greater visual acuity on the pitch. The kit showcases Nike’s inherent belief in style, craft and strong aesthetics, while aiding the performance of players with key technological features. The kit is made from recycled polyester in accord with Nike’s commitment to produce athletic wear with a low environmental impact. The shirt and shorts of each kit are made from up to thirteen recycled plastic water bottles. In the pioneering process plastic bottles are melted down to form yarn that is spun into recycled polyester, reducing energy consumption by up to 30 percent compared to manufacturing virgin polyester. Since 2010, Nike has diverted more than 1.1 billion plastic bottles from landfills through the use of recycled polyester. 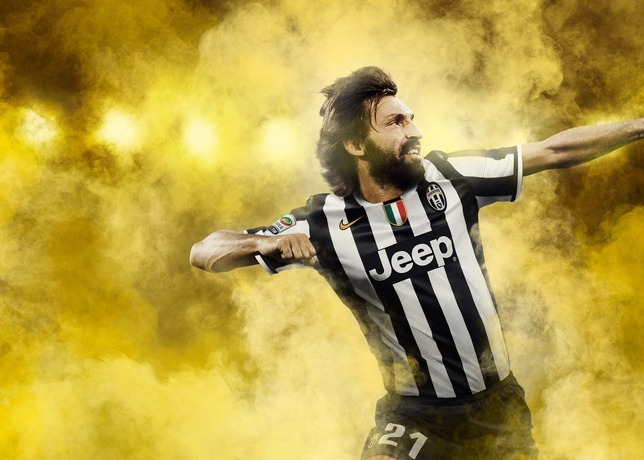 The kit is made of fabric weighing just 150 grams, 23 percent lighter than previous Nike kits. It also boasts a 20 percent stronger knit structure and significantly improved stretch. 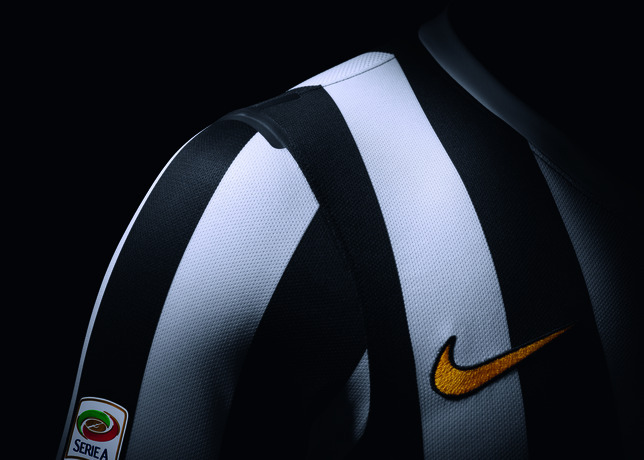 The fabric is integrated with Nike Dri-FIT technology to draw sweat away from the body to keep players cool and dry. 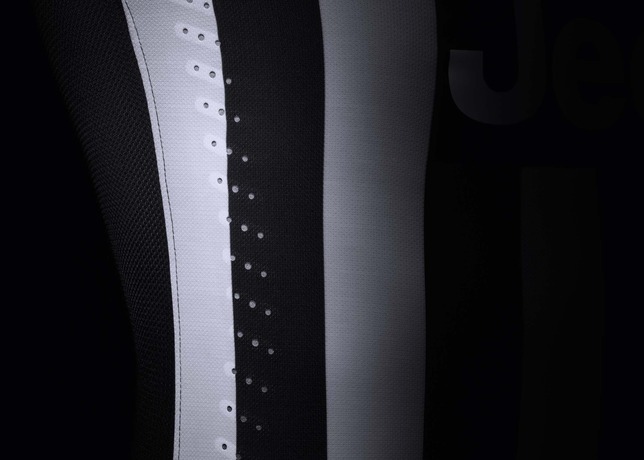 Updated and improved ventilation zones consisting of tiny laser-cut holes on both sides and across the entire back of the shirt, as well as at the shorts’ waistband allows more air inside the kit for additional comfort and cooling. Nike embarked on an innovative program creating 3D body scans of some of the world’s leading footballers to produce a more athletic fit tailored to the contours of their bodies. It has been crafted with bonded T-bars at the junctions of the shirts to support the seams and inner welded seams with a clean finish to give a more striking appearance while also increasing comfort and performance. What do you think of the kit? Let us know in the comments section below or on our Twitter and Facebook pages.